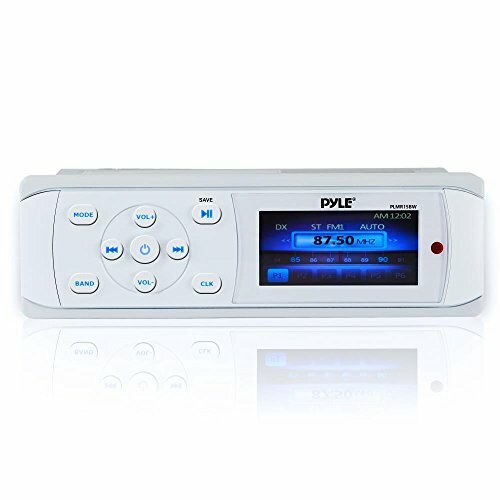 The Pyle Marine Stereo Radio Receiver features Bluetooth wireless music streaming ability. 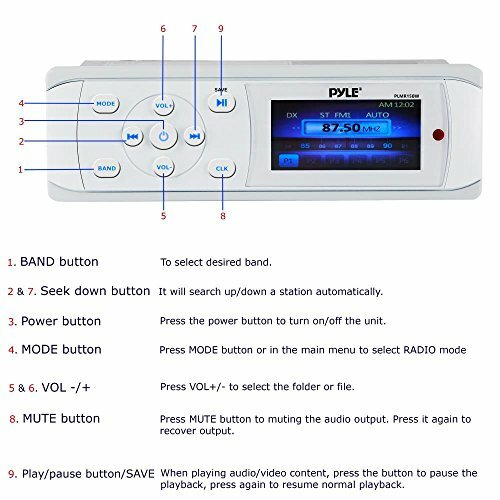 You will be able to instantly stream audio files from your Smartphone with easy setup and hassle-free connectivity. Built-in 3’’ -inch front panel video display monitor provides convenient multimedia playback that is perfect for any custom vehicle system application. 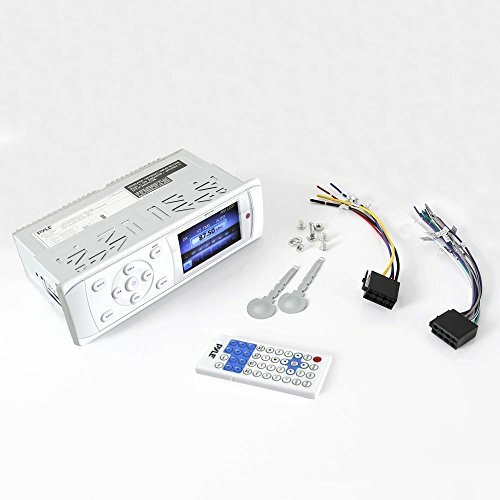 The single DIN universal standard comes loaded with additional audio playback features like AM/FM radio with 30 presets, rear panel USB flash drive reader, Weatherband radio, along with RCA Audio and Video connector jacks. 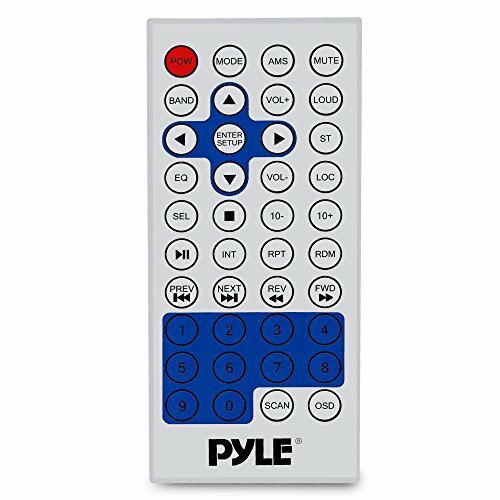 Take control and manage your sound with the front panel buttons or use the included remote control. 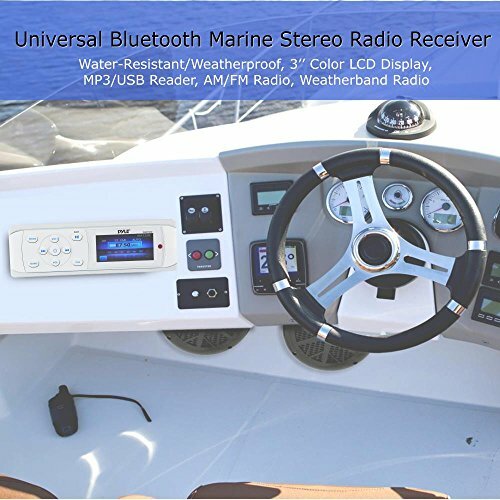 Add versatile water-resistance and weatherproof construction with the Pyle Bluetooth Marine Stereo Receiver System. 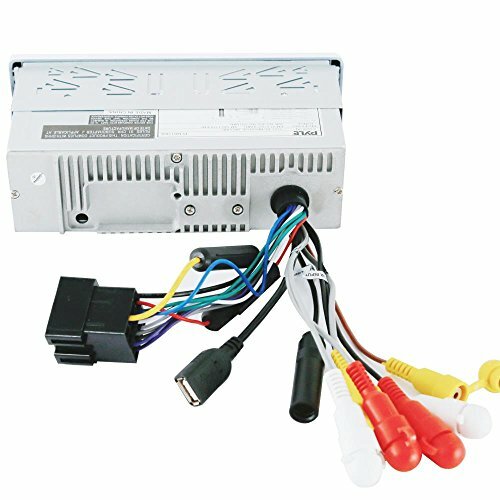 3" FULL COLOR DIGITAL LCD: This white in dash single din vehicle headunit receiver features full color user friendly digital LCD screen and crisp front panel button and knob controls for easy operation. 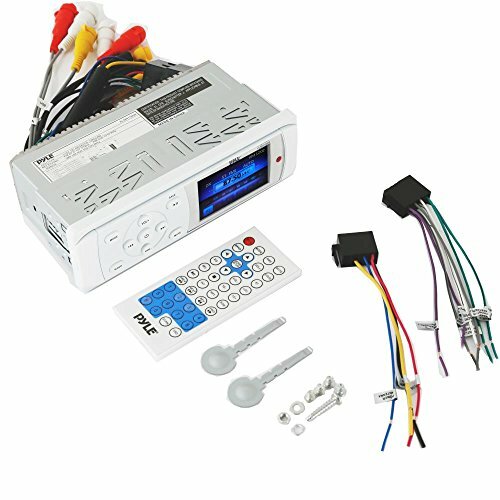 Package includes power and wiring harness.